Woody Allen's troubled personal life continues to overshadow his film career. Just as he was earning some of his best reviews for years for Blue Jasmine, ex-partner Mia Farrow has revealed that their son Ronan might have been fathered by Frank Sinatra. Sinatra and Farrow split in 1968 and Ronan was born in 1987, which makes for one hell of a gestation period, or, as Farrow puts it: "We never really split up." 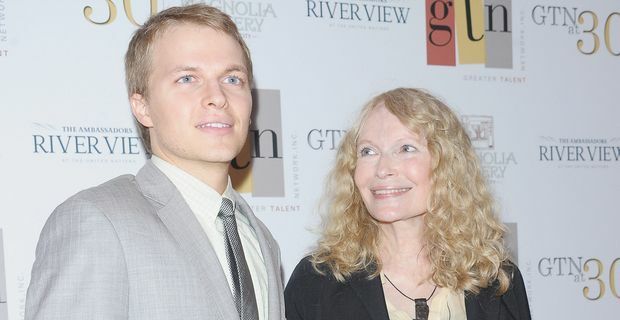 Farrow says it is "possible" that Sinatra was Ronan's father. The revelation came in an extensive Vanity Fair investigation into the traumatised Allen-Farrow extended family. There is still a mountain of bitterness after Allen began a relationship with Farrow's adopted daughter Soon-Yi, his current wife, in 1992. The magazine article revisited the allegations that Allen sexually molested another of Farrow's daughters Dylan, when she was seven years old. Dylan said that, as a child, she thought "this was how fathers treated their daughters. This was normal interaction, and I was not normal for feeling uncomfortable about it." Allen denied the allegations when they were presented in court in his custody battle with Farrow, and they were dismissed by the judge because they could not be substantiated. Ronan, obviously not inclined to think fondly of Allen as a father figure, had previously condemned Allen's relationship with Soon-Yi. "He's my father and married to my sister," he has said in previous interviews. "That makes me his son and his brother-in-law. That is such a moral transgression. I cannot see him. I cannot have a relationship with my father and be morally consistent." All the same, he wasn't quite ready to leap on his mother's latest revelations with relief. He seemed to take them with a pinch of salt, despite the wealth of pictorial evidence that he looks rather more like Sinatra than Allen. "Listen, we're all "possibly" Frank Sinatra's son," he tweeted.